Today we screen PT short term up, for short term bullish signal. 3 stock came out, out of the 3, Karex have the strongest trend. 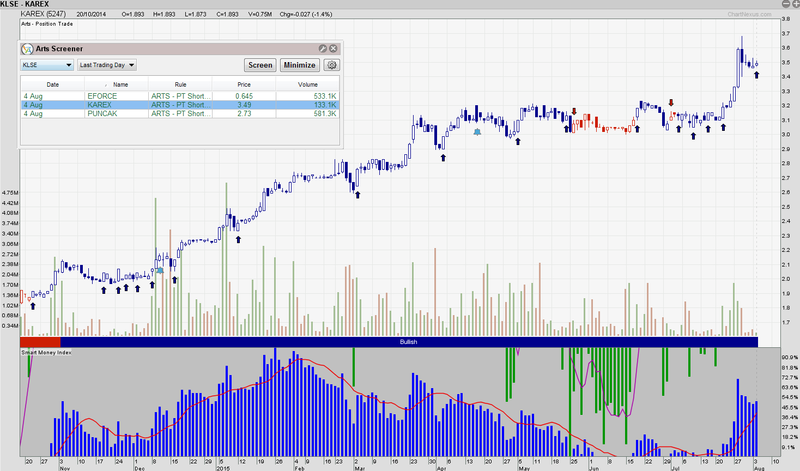 Short term signal is generate base on price pull back. We usually like to see how the blue arrow works previously before preparing ourselves for entry. So far, blue arrow works well right? Meaning our strategy have higher chance on this stock.